Everlam’s first Laminated Architectural Glass Event end September brought together the Everlam team and a group of customers and industry experts. Held on the company’s production premises in Hamm Uentrop in Germany, the event was an opportunity for networking and exchanging points of views on the business. 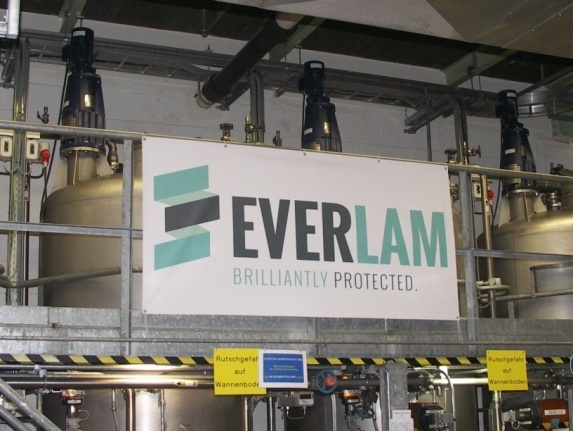 Mechelen, 6 August 2015 – Everlam announced today worldwide expansion plans, revealing the appointment of senior managers in the Americas. The company makes high-quality Polyvinyl Butyral (PVB) interlayers for laminated safety glass and started operating early 2015. After 6 months, it positions itself as a serious contender in the global market. Mechelen, 6 August 2015 – Everlam, a new company producing Polyvinyl Butyral (PVB) interlayers for laminated safety glass, announced today the appointment of Jim Howard as VP Sales North America. The company, established in Europe and started operating in 2015, is making a decisive move towards development of its business worldwide.